your department, a web site, a family friend who works at the organization. It is appropriate to mention the name of someone who suggested that you write. • In a letter of application — applying for an advertised opening — applicants often say something like "I look forward to hearing from you." However, if you have further contact info (e.g. phone number) and if the employer hasn't said "no phone calls," it's better to take the initiative to follow-up, saying something like, "I will contact you in the next two weeks to see if you require any additional information regarding my qualifications." • In a letter of inquiry — asking about the possibility of an opening — don't assume the employer will contact you. You should say something like, "I will contact you in two weeks to learn more about upcoming employment opportunities with (name of organization)." Then mark your calendar to make the call. 2nd paragraph: Tell why you are interested in the employer or type of work the employer does (Simply stating that you are interested does not tell why, and can sound like a form letter). Demonstrate that you know enough about the employer or position to relate your background to the employer or position. Mention specific qualifications which make you a good fit for the employer’s needs. This is an opportunity to explain in more detail relevant items in your resume. 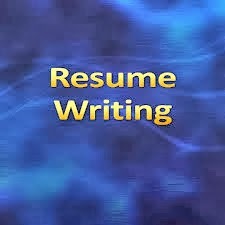 Refer to the fact that your resume is enclosed. Mention other enclosures if such are required to apply for a position.